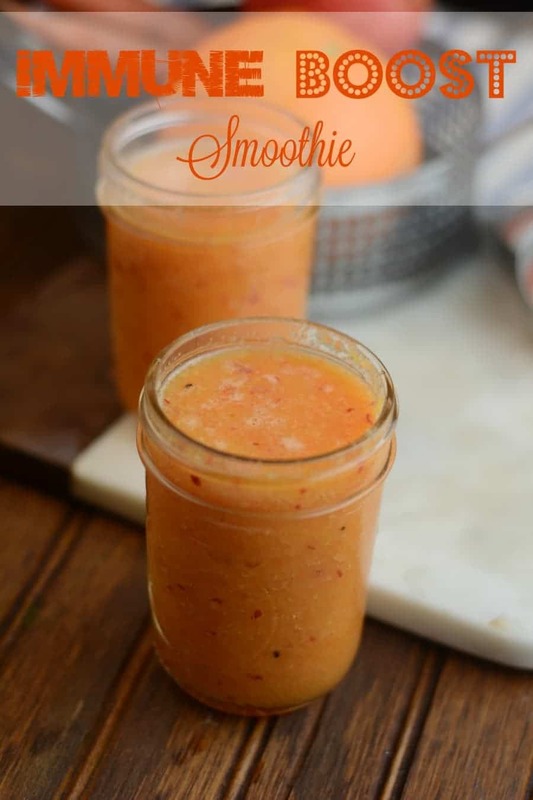 Boost your immune system with this nutritious and delicious smoothie. My husband has been so sick. We have been trying everything to boost up his immune system. I have been making these delightful smoothies. He even likes them which says a lot. He is not a smoothie person. I hope you enjoy it and boost up your immune system. In your ninja blender or blender place the apple juice. Peel your orange and cut in half place in the blender. Cut apple in half and remove seeds place in blender. Remove skin from Kiwi and place in blender. Chop your carrot in two large chunks place in blender. Blend for about 3 minutes or until smooth. You can add more apple juice for desired thickness.